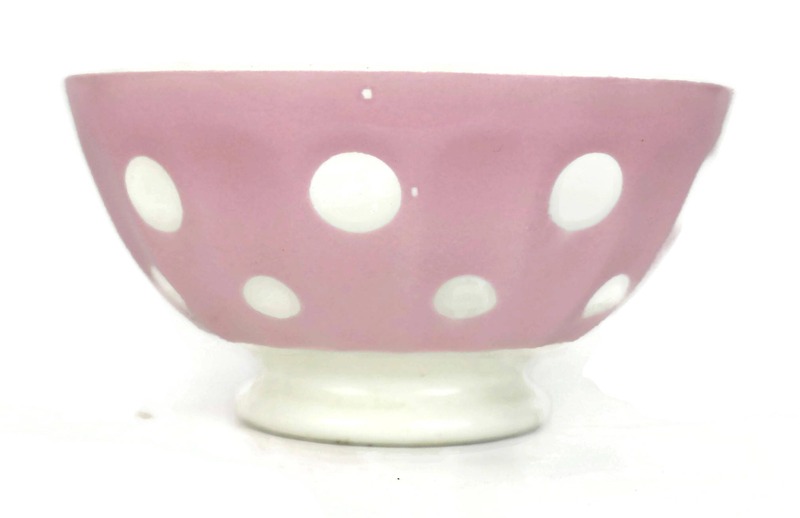 Vintage French Café au Lait Bowl. 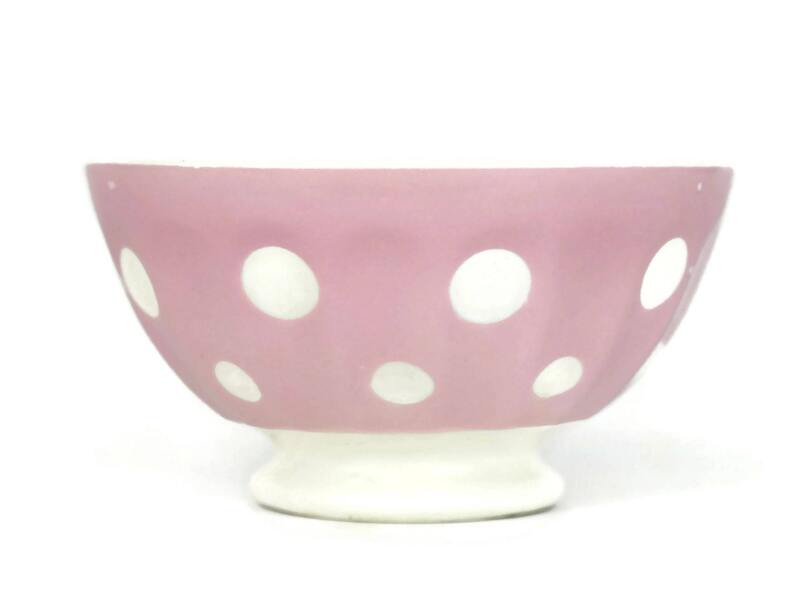 Pink Polka Dot Ceramic Cereal Dish. Pastel Kitchen Decor. 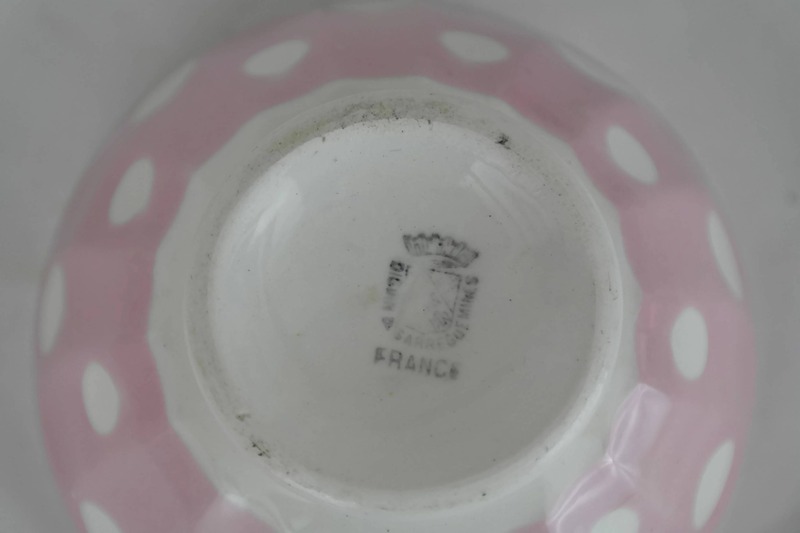 Sarreguemines Pottery Bowl. Coffee Lover Gift. 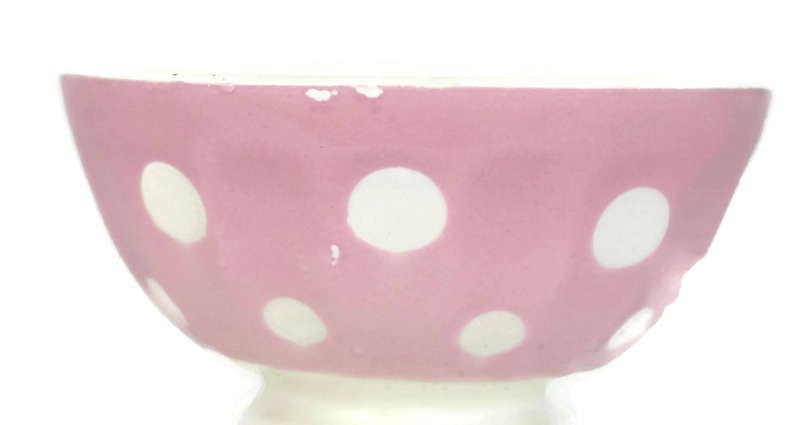 An adorable vintage French café au lait bowl dating to the 1940's. 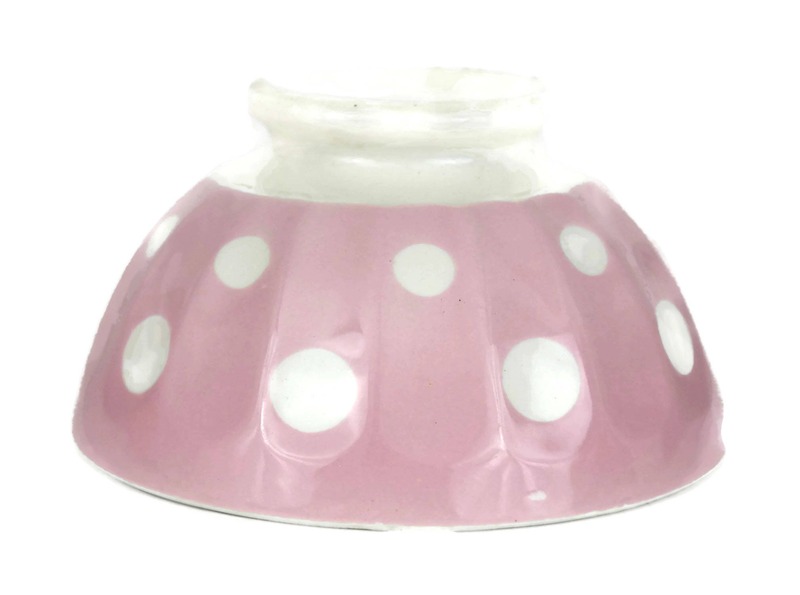 It was manufactured by the famous Sarreguemines pottery company, in Digoin, France. 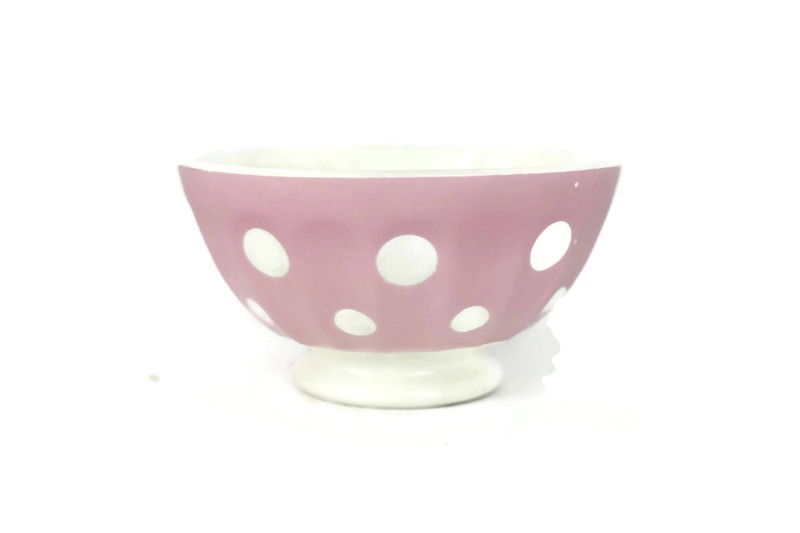 The small ceramic cereal dish has been decorated with a pastel pink polka dot design and is stamped on the base with the Digoin manufacturer's mark. 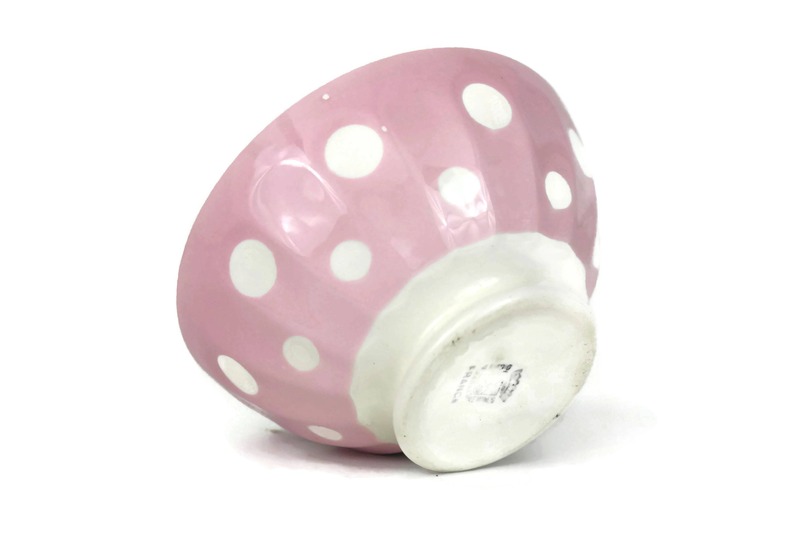 The coffee bowl will make a charming coffee lover gift or a nice addition to a pretty pastel kitchen decor. The coffee bowl is 4 1/8" in diameter at its widest (10,5 cm) and 2 1/8" high (5,5 cm). 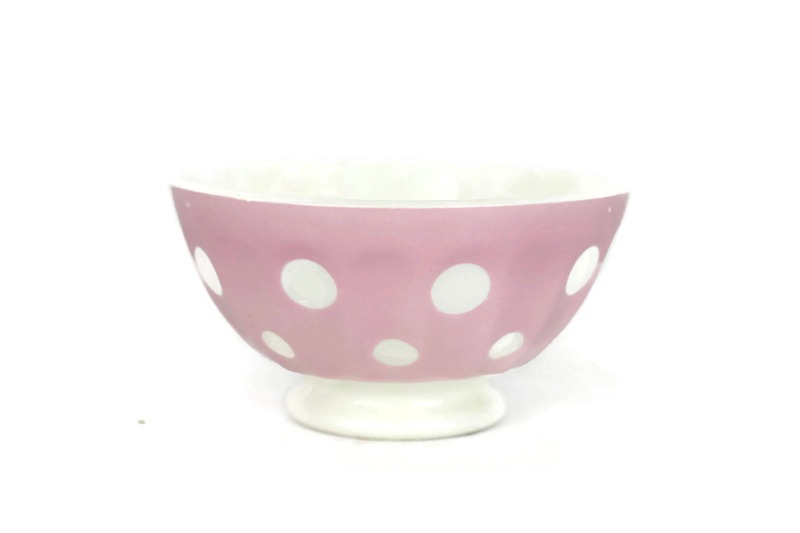 The ceramic coffee bowl is in very good condition with age-appropriate wear including little spots of bare glaze to the exterior. There are no chips or cracks. 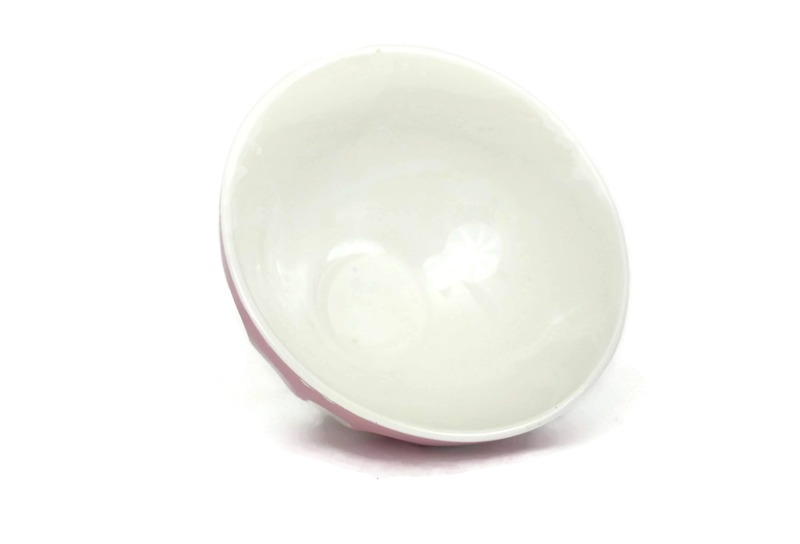 Cute little cafe au lait bowl - as pictured and described. Quick shipping - thanks! !